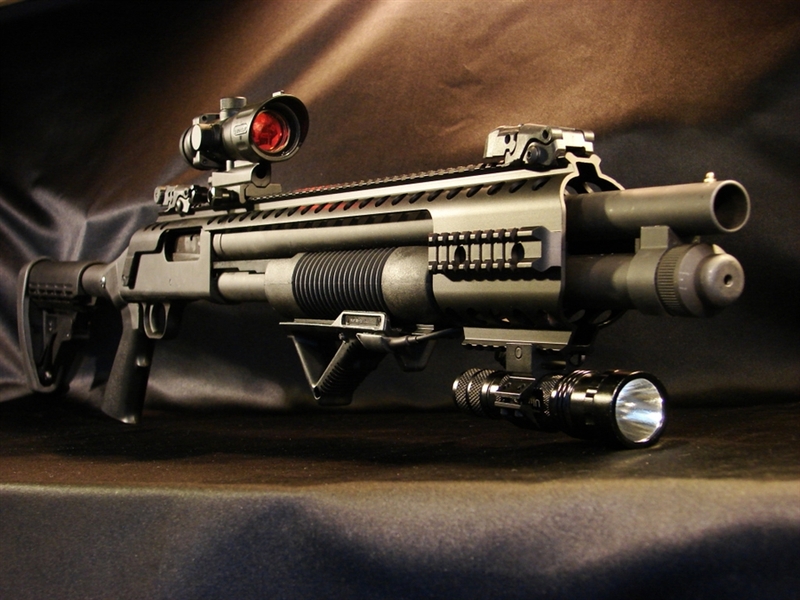 Mossberg 500 is a series of pump action shotguns manufactured by O.F. Mossberg & Sons. 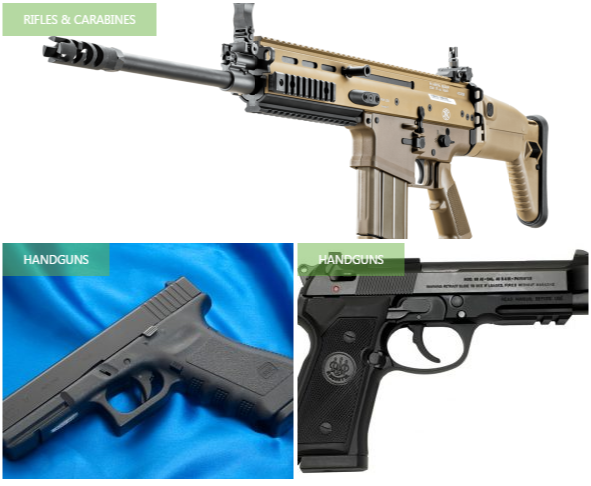 The 500 series comprises widely varying models of hammerless repeaters, all of which share the same basic receiver and action, but differ in bore size, barrel length, choke options, magazine capacity, stock and forearm materials. Model numbers included in the 500 series are the 500, 505, 510, 535, and 590. The primary difference between the Model 500 and Model 590 is in magazine tube design. The Model 500 magazines are closed at the muzzle end, and the barrel is held in place by bolting into a threaded hole at the end of the magazine tube. Model 590 magazines are designed to be opened at the muzzle end, and the barrels fit around the magazine tube and are held on by a capnut at the end. The Model 500 magazine facilitates easy barrel changes, as the barrel bolt serves no function other than holding the barrel in place. The Model 590 magazine facilitates easy cleaning and parts replacement, as removing the nut allows removal of the magazine spring and follower.